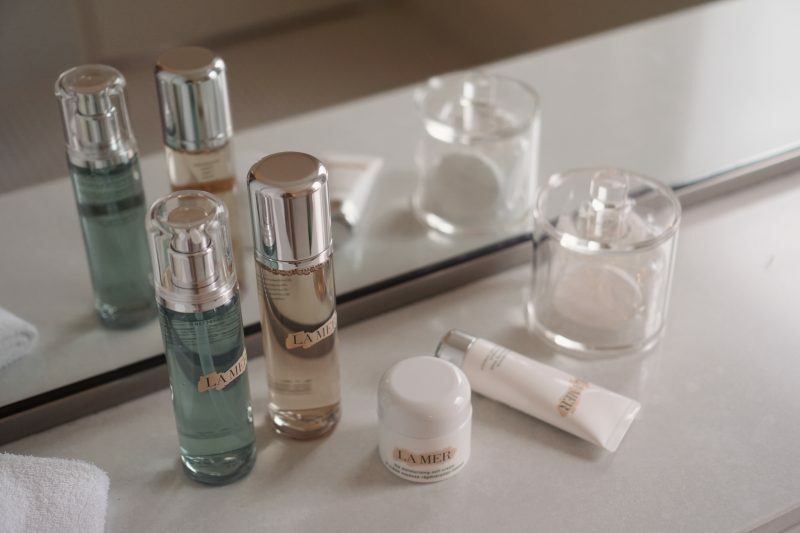 The story of La Mer has somehow something idealistic. A man who burns his skin in an experiment and doesn’t want to leave the recovery of his skin up to fate. The man, Dr. Max Huber, relies on the healing power of the sea and in numerous trials develops the one cream that cures his burns and heals his skin. The Cream de la Mer. The story of me and my skin was not necessarily influenced by romance and idealism. Sometimes it tends to impurities, and at times it is extremely dry and tense. And sometimes, it’s both at once. That’s why I need a skin care that is not only very nourishing but also gentle on the skin. 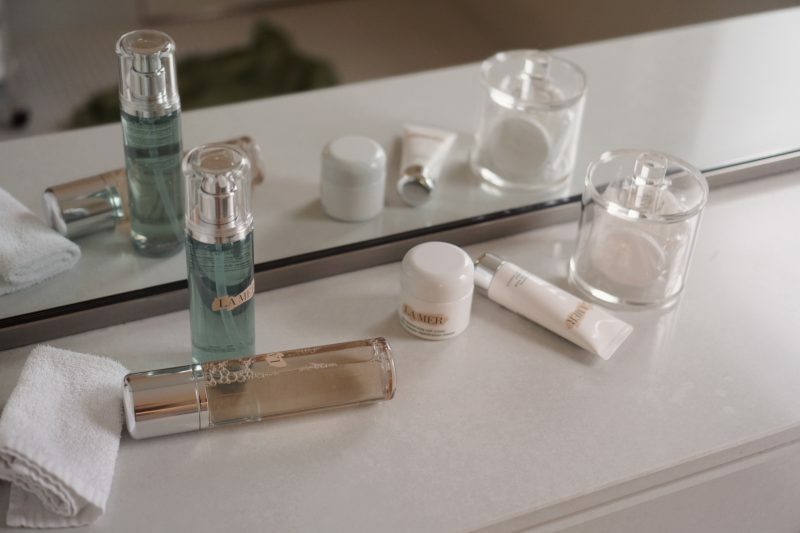 In doing so, I rely on a skin care routine from La Mer. The best skin care routine always starts with cleansing. I use the Cleansing Gel, which is oil-free and gently removes sebum, but also makeup remnants. It’s Ideal for morning and evening and doesn’t dry the skin. After cleansing my skin often felt irritated, red and tense – with the Cleansing Gel, however, my skin feels fresh and soft. 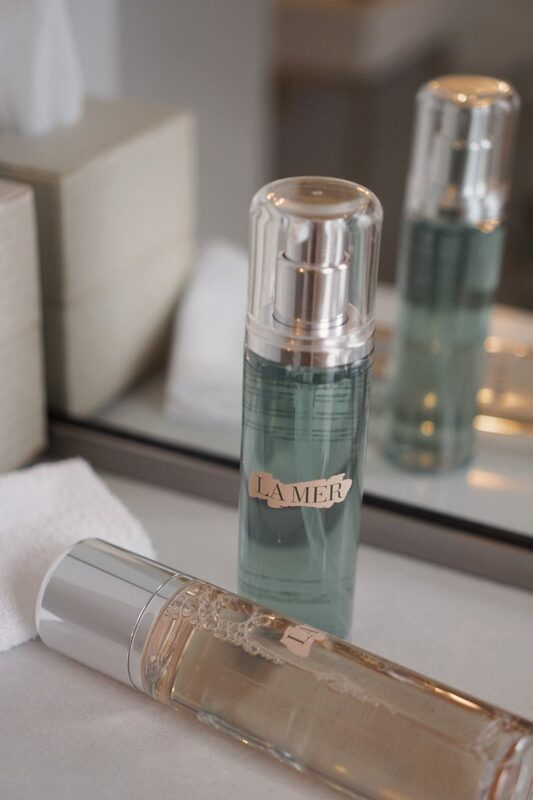 Afterwards, before using creams and skin care, I use the La mer Tonic. The Tonic helps to revitalize and calm the skin after cleansing and leaves it with a healthy glow. A mask that has become a true wellness miracle for me. I use the mask 2-3 times a week – especially when the night was a bit shorter and the day busy and the skin looks pale and tired. I gently apply the cream with my hands and wait for about five to eight minutes – then I remove the remaining mask gently with a tissue. The cream is not only relaxing for my skin, I actually really love the pleasant smell and the nourishing texture. You could even use it once a day, but for me 2-3 times a week is totally fine. 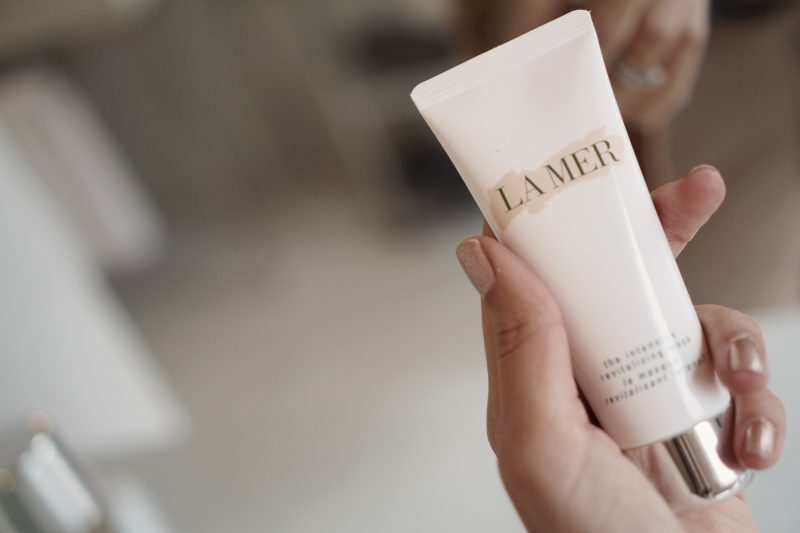 The highlight of my skin care routine with La Mer is the moisturizing soft cream. 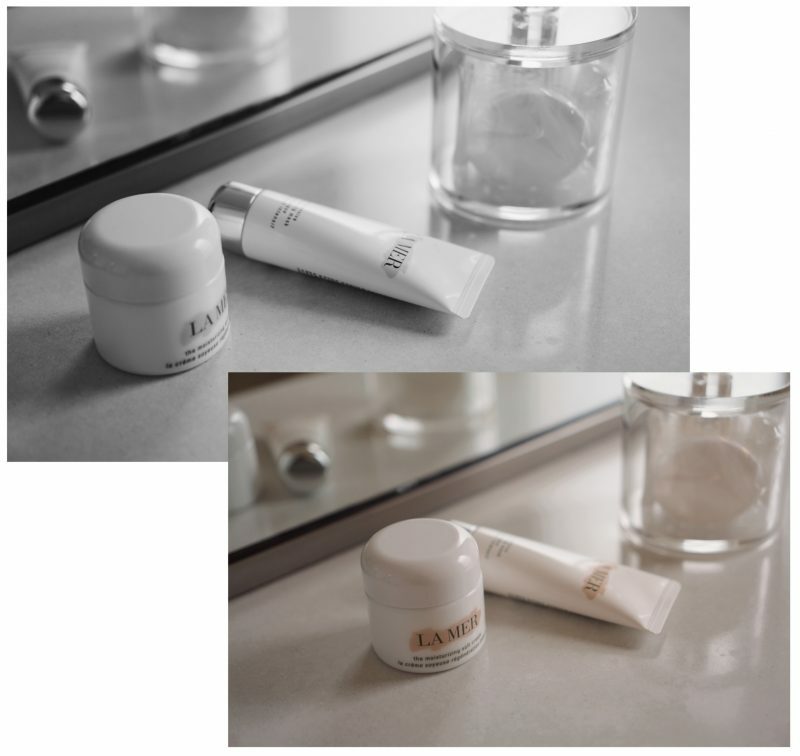 The cream convinces with the soft and delicate texture, that keeps the skin moisturized and nourished. Finding the right moisturizer has often been the most difficult part of my skin care routine. Sometimes it has dried out skin too much, then the next cream was too rich and left an oily film on my skin. The moisturizing soft cream feels just right – perfectly balanced.